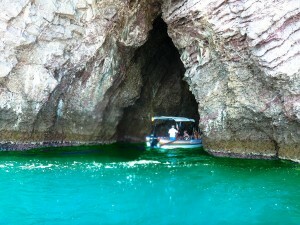 … or maybe it is, or will be, as Pantone have announced the colour for 2013 is Pantone 17-54641 Emerald, a lively, radiant, lush green. Now I personally have a love/hate relationship with the colour green. It reminds me of things that give me the heebie jeebies. Things like grasshoppers, frogs (sorry kermit) and snakes. 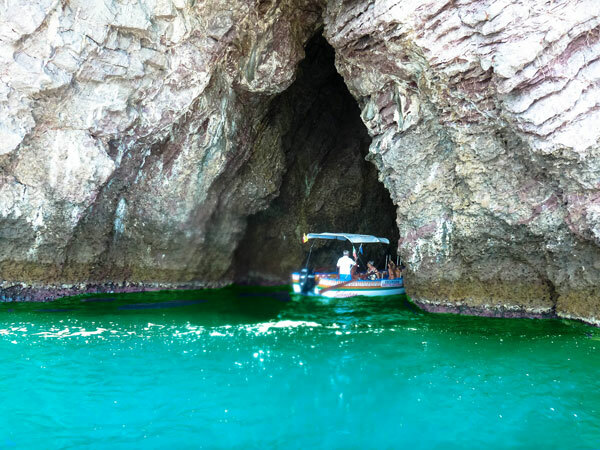 At the same time, it conjures up feelings of peacefulness, like a drive through an alpine forest, my mum’s christmas tree and a swim in the green / blue sea. When it comes to food and fashion, green isn’t my colour of choice. I tend to force myself to eat green veggies and am not one to search out green clothes, unless they are on sale, of course. Like the green jeans I rocked in my early 20’s that cost me less than my age. But then I look around me and ironically green features quite prominently in my ‘work life’. I like using green pens to write with, particularly when I’m brainstorming or working on something a little more creative. Green features in our business logos. 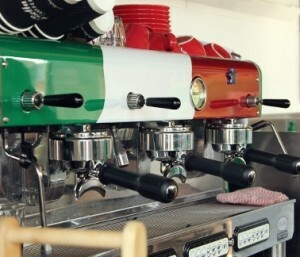 Our coffee machine at Locale proudly boasts the green, white and red colours of the Italian flag. 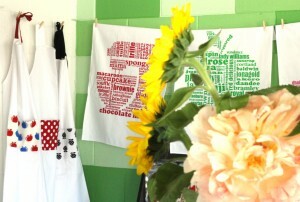 Even our feature wall is different shades of green. From a marketing perspective, green is considered to be a natural, healthy and plentiful colour, whilst it is also used to create a calming or growth effect. “Go and grow with green“, they say. 1. 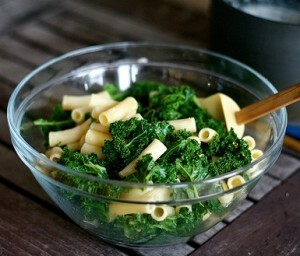 Increase your daily intake of green veggies with this delicious Baked Rigatoni with Kale recipe by Kristin at The Kitchen Sink. 2. Mix up an apple martini. 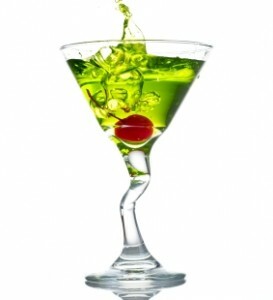 Add some green napkins or green olives and the luck of the Irish is all yours! 3. 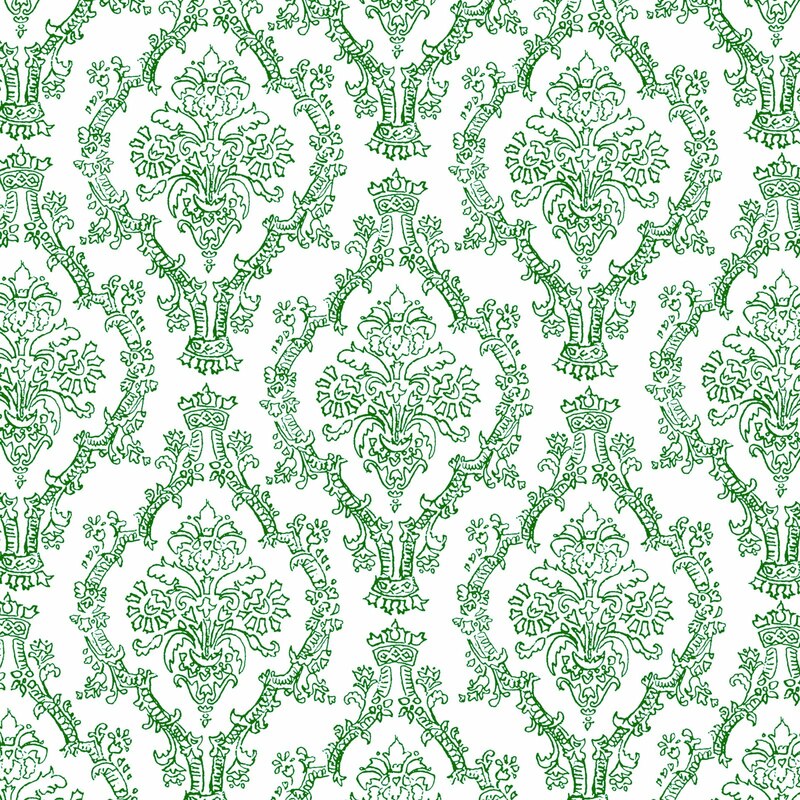 Get creative with this beautiful emerald damask print by Mel Stampz. 4. Add some green touches to your wardrobe, like these dresses from ASOS. So maybe Kermit and friends, it isn’t so bad being green after all. 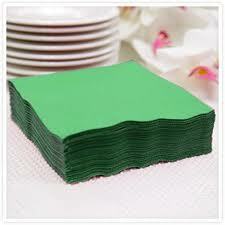 Go green go!